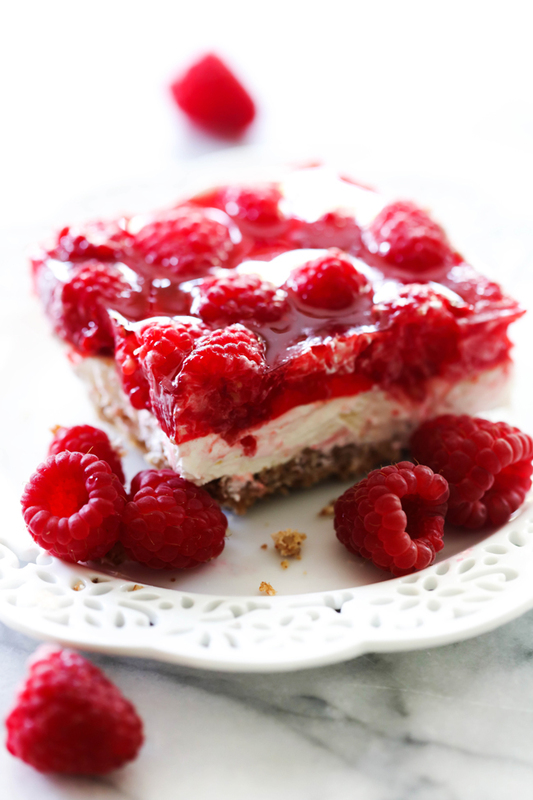 This Raspberry Pretzel Jello Dessert is the perfect combo of sweet and salty and a hint of tart. The three layers combine wonderfully for a crunchy, creamy and fruity treat that will have have everyone coming back for more! I am a huge fan of sweet and salty together in a dessert. This recipe is adapted from the Strawberry Pretzel Jello Salad already on my blog. This raspberry version recipe encompasses everything there is to love about that flavor combo and brings it to life in one unforgettable treat. The base layer is an incredible salty buttery pretzel base. It provides a delicious crunch and serves as a great crust. 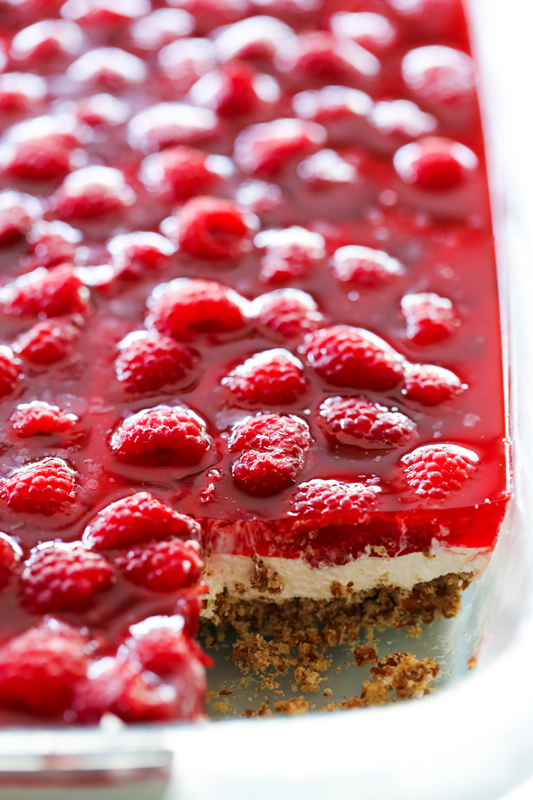 The top layer is a raspberry jello with real plump raspberries scattered throughout that are bursting with juicy and tangy flavor. The middle layer is a creamy filling and is the perfect tie between the bottom and top layers. This dessert is great for summer potlucks and pairs well with a variety of meals! Trust me on this one, you have to give this recipe a try! It will become a new regular. Bring 2 cups of water to a boil. Remove from stove and add jello. Stir until Jello is dissolved. Allow jello to cool to room temperature. In a large bowl, combine cream cheese, sugar, and cool whip. Beat until smooth. Spread over pretzel crust. Make sure to get the cream mixture tight against the edges of the pan to prevent the jello mixture from seeping through. Arrange raspberries over the top of cream mixture. Can frozen berries be used in this recipe or do they have to be fresh?